Volunteering at the night shelter is a really fulfilling way of helping people who are at the front-line of the government policy on immigration. 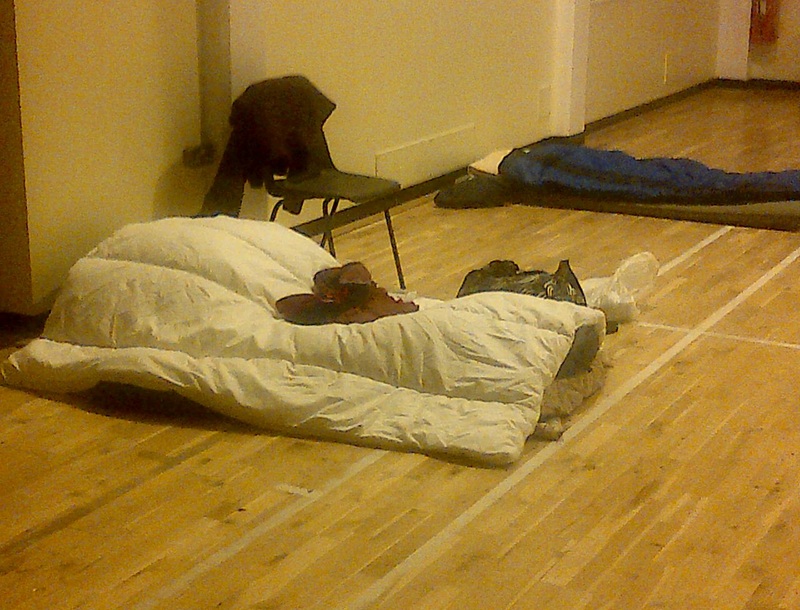 In December 2011 the Glasgow Night Shelter for Destitute Asylum Seekers was opened as a temporary emergency winter shelter to provide somewhere warm and safe for destitute asylum seekers to stay overnight. So great was the positive impact on the lives of the men and women who stayed there it was decided in March 2012 to make the shelter a permanent one, open 365 nights of the year. The core volunteer role is our overnight volunteer role which runs every night from 8pm to 8am in the morning. We need 3-4 volunteers for each night of the week. Volunteers prepare food, welcome the guests and play an essential role in keeping the shelter open. There’s several stages to our induction programme for new volunteers. We try to organise an open evening so you can come in and see what the shelter is like without committing to volunteering with us, then we have a longer more intensive induction session to go through policies and procedures and after which you can start volunteering alongside some more experienced volunteers. Since 2012 the shelter has been open every night including Christmas Day and Hogmanay. We estimate that we have provided over 16,500 bed spaces for destitute asylum seekers and other international migrants facing difficulties in Glasgow over that time. In February 2015 the night shelter became Scottish charity with charity number SC045411. Following a unanimous vote at an EGM held in February 2017 the charity was wound up and Glasgow Night Shelter for destitute asylum seekers became a Scottish Charitable Incorporated Organisation (SCIO) instead, number SC047169. 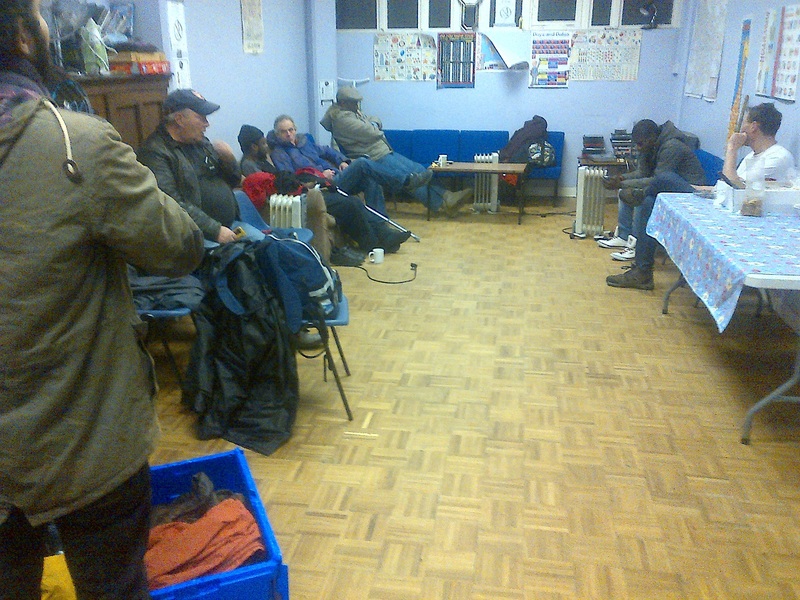 The shelter currently provides accommodation for up to 15 men every night from 8pm until 8am the following morning. We also produce a hot evening meal and food for breakfast and for the men to take away during the day. Usually the same men come in every night so you get to know them really well. Volunteers have to stay from 8pm until 8am when the shelter shuts. Ideally you are able to commit to a regular day every week as it is easier to sort out the rota that way but if this is not possible because of work or family commitments then don’t worry, we’re very used to arranging the rota to take this into account and we have volunteers who only volunteer now and then. But if you can’t commit to a full night don’t worry we also need volunteers who can come in for the evening to help cook and who can talk to the men staying at the shelter to see if you can help with any other problems they may have. We’re also have a team of volunteers who help with case-work to try and get the men back into the asylum system, re-housed or receiving benefits. Volunteers staying at the shelter usually sleep in the same hall as the guests who are given camping mattresses and sleeping bags and duvets but there is a women only space available if you’d rather use that space. Most of our volunteers find their experience at the shelter is incredibly fulfilling as you can see the immediate impact your work is having on the life of someone who would otherwise be sleeping on the street or under a bush in a Glasgow park. You will see how much people change from when they first arrive at the shelter, feeling cold, depressed, scared until when after a few days they are smiling, relaxed and joking. Volunteering at the shelter is immensely rewarding and plays a crucial role in supporting asylum seekers in our community.